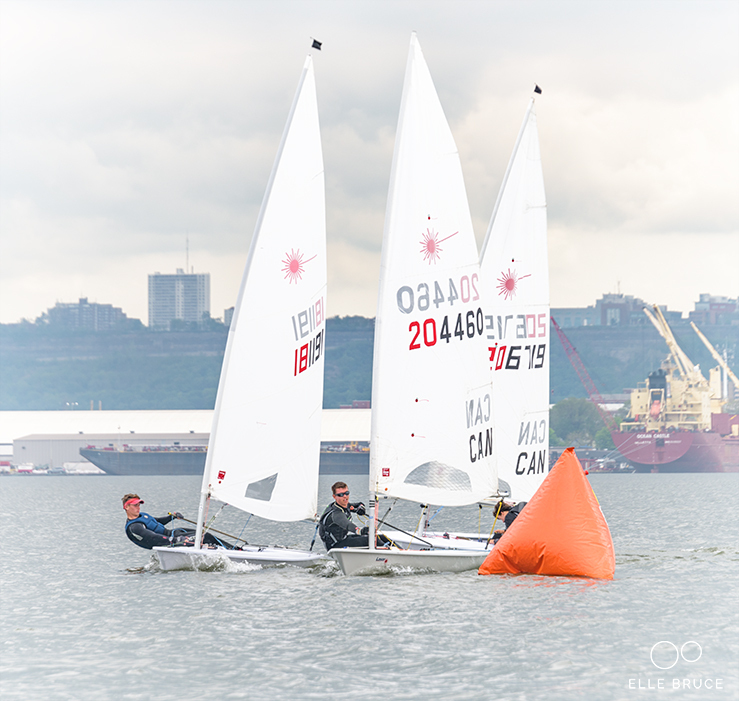 The local regatta season kicked off on the May long weekend with the Ice Breaker Regatta at Toronto Sailing & Canoe Club. We sailed for two days on Humber Bay in varying conditions. The first day brought plenty of wind from the east at around 12-17 knots and waves. I focused on my downwinds and starts in more breeze. I was happy with how I executed these and sailed very well. I sat in 2nd out of a fleet of 12 after the first day. The second day brought fluctuating wind strength and direction from the north-west. These unsettled conditions lead to exciting racing with such a small fleet. I fell to 4th place and one point off the podium after a difficult second day. Big thanks to everyone who braved the cold to make this regatta happen. And my mom (Elle Bruce) who was out and took some great photos! Icebreakers Regatta was held this year at TSCC on the weekend of May 20-21. Despite high water levels the organizing officials pushed ahead with the event. Local systems brought 2 days of medium to high winds in the 15 knot range out of the east. I raced this event in the laser standard to test myself against those I will be racing against from the fall onward. I placed a respectable 7th place out of 14 with consistent results in the top ten. My best finish was 3rd in the final race. I look forward to competing at this event next year.